Independent, friendly, family run garage, since 1992. Father (Derek) and Son (Gareth) owned and run. We pride ourselves on providing honest, high quality service - at a reasonable cost. Our family run business is founded on a loyal customer base, many of which have been returning for years. We can look after your vehicle no matter what the make and model. From MOT's and servicing to all types of mechanical repairs. We also carry out vehicle modifications, such as custom made POWERFLOW EXHAUSTS and POWERFLOW TUNING ecu remapping. 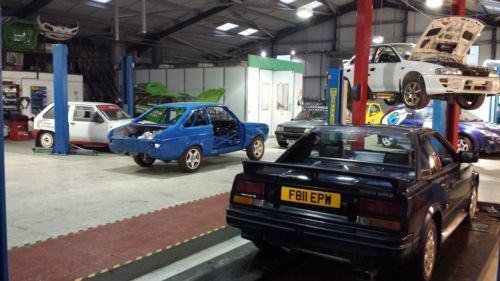 As well as the main service / MOT side, the business also specialises in the build and preparation of Rally Cars.This requires broad knowledge, attention to detail and a high quality of workmanship - all of which transfers throughout the business. Arrange your MOT today! We can do while you wait. Class 1&2 motorbike, class 4 cars tested. All types of mechanical repairs carried out by trained, experienced technicians. All types of mechanical repairs carried out. Call with your requirements. Our technicians are trained in the latest engine diagnostics equipment. 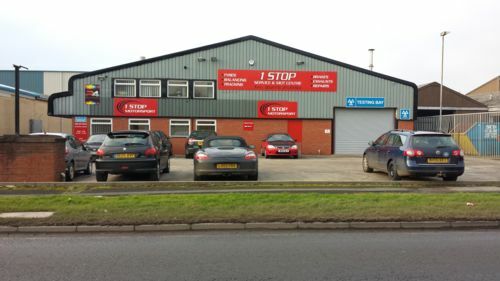 Welcome to 1 Stop MOT Centre. We are a local, independent garage, serving Crewe and the surrounding areas.